Long Tail Tee by Glimms. This black long tail tee is the comfortably classic t-shirt that can be paired with any ensemble. Featuring a modern long tail hem with an exaggerated back. 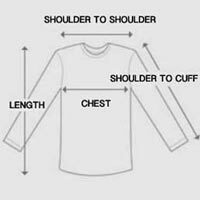 Soft jersey t-shirt made from breathable cotton fabric. Black long tail tee designed with crew neck and curved bottom hemlines. The perfect solid t-shirt for layering with vests or jackets. Look fashion forward without trying in this designer black long tail tee.